Moving materials and items around a business, warehouse, or job site is necessary for work to be done correctly and efficiently. This means that companies rely on forklifts and certified forklift operators in order to safely move materials while minimizing risks for everyone else. Over time, forklifts have become progressively more advanced and safe for operators, making it even easier for materials to be moved without issue. So, how can forklifts be used to accomplish your company’s goals? Always follow the specified load weight limits for the forklift you are using. Explore your options for models that have different limits for maneuverability and operating space. New forklift designs simplify the process for operators and deliver greater benefits for companies. For growing businesses, attractive lease options lower the cost of using a forklift while their benefits help save you time and money. 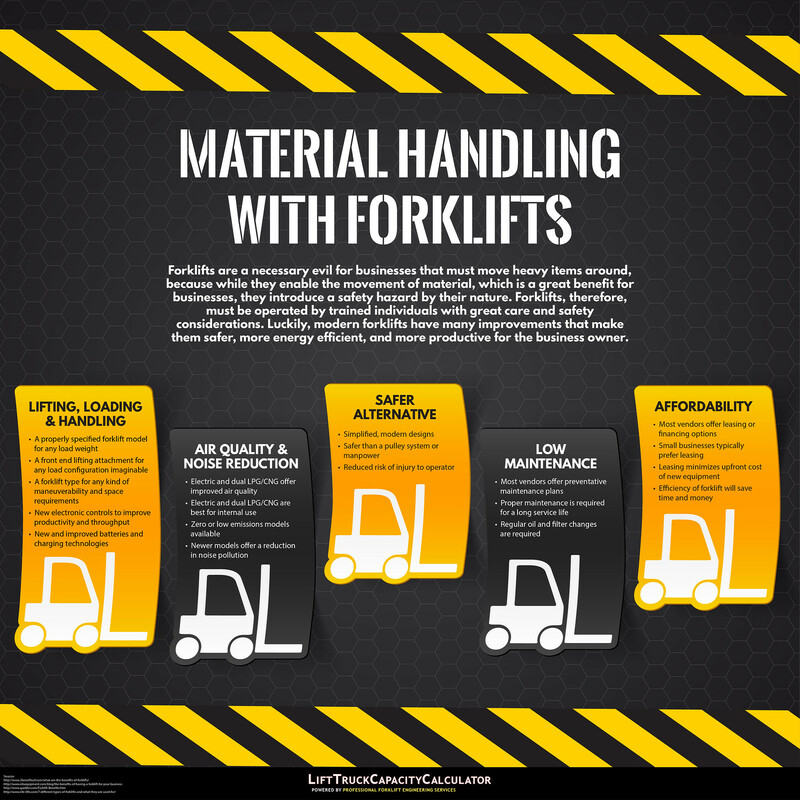 Learn more about the value forklifts provide by reading the accompanying infographic.